Signature Living proudly sponsored the glitzy annual British LGBT Awards, showing its commitment to the community once again. Signature Living was one of the headline sponsors for this year’s British LGBT awards, sealing its commitment to the community for the second consecutive year running. 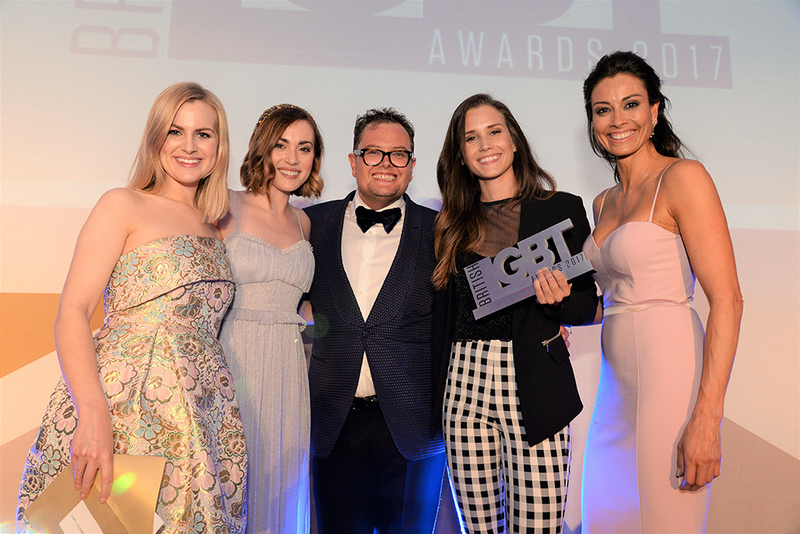 The glittering ceremony, which was held in London on 12 May and presented by much-loved duo Alan Carr and Mel Sykes, celebrated individuals and organisations which work to advance the rights of LGBT communities. The awards also acknowledge milestones in politics, media, grassroots activism and the corporate world. The British LGBT Awards has previously seen the likes of this year’s presenter Alan Carr, Paul O’Grady, Brian May, Danny Dyer, Lorraine Kelly, Rylan Clark-Neal, Tom Daley and Graham Norton all scoop awards for various categories. Signature Living managing director Kris Mochrie, who presented the Destination Award at the event says the company was once again, honoured to support it and demonstrate its commitment to diversity. He said: “We were so thrilled to be involved with the LGBT awards again this year, and taking an even more prominent presence and being one of the main sponsors. “From the boardroom down to the shop floor Signature Living is all about diversity. We embrace all people and celebrate the diverse nature of our employees and guests at our hotels. Vibrancy, culture and tolerance is what we strive to achieve in every strand of the business. Supporting the British LGBT Awards is a given for us and we were proud to be part of it.” This year’s winners included the Duke of Cambridge, Keeping Up with The Kardashians star Caitlyn Jenner and British diver Tom Daley. Liverpool Pride returns on Saturday 29 and Sunday 30 July – and Signature Living is proud to be sponsoring the event, which is by far the city’s most vibrant of the year. The free two-day event will return to St. George’s Quarter for the second year running and is expected to attract tens of thousands of people. 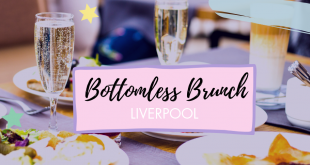 A party atmosphere will descend on the city as visitors are treated to live acts, street stalls and show-stopping performances throughout Liverpool’s gay scene. 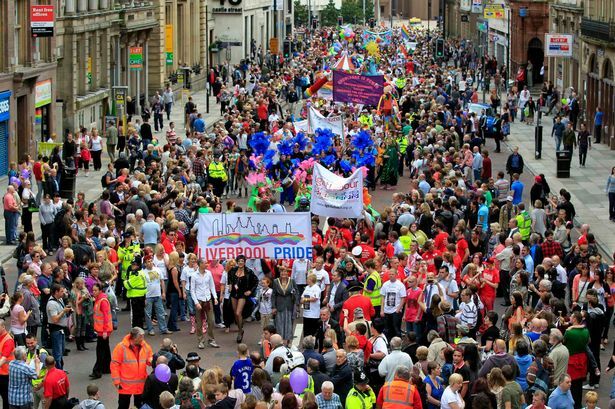 The annual Liverpool Pride march, which will take place on Saturday 29 July, is an increasingly popular commemoration of lesbian, gay, bisexual and transgender communities. Organisers say the march is a celebration of unity and helps normalise LGBT in all its forms, and promotes Liverpool as a safer place to live in for all residents and guests. Liverpool Pride was formed in 2010 in a response to the murder of young gay man Michael Causer and has grown every year since. This year, famous Liverpool landmarks will be illuminated in rainbow colours to showcase a visibly LGBT friendly city. The theme of the event this year is International Love in a show of solidarity between International LGBT+ communities. The beautiful citywide displays will symbolise equality, acceptance and tolerance across all countries. City PR Daniel Hughes, says Signature Living is proud of the Pride partnership. He said: “Signature Living is the most well-known hotelier in the Liverpool city region and is proud to further demonstrate its commitment to diversity by supporting Pride. The event is now one of Liverpool’s biggest annual celebrations and positively showcases the city at its very best.